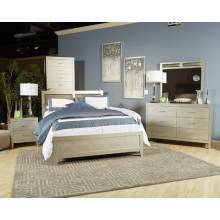 Inches: 56” W x 17” D x 37” HColors:SilverStyle:Contemporary..
B560 Olivet Dresser + Bedroom MirrorCONSISTS OF:B560-31DresserInches: 56” W x 17” D x 37” HB560-36Be.. Inches: 30” W x 17” D x 48” HColors:SilverStyle:Contemporary.. Inches: 22” W x 17” D x 26” HColors:SilverStyle:Contemporary..
B560 Olivet Queen UPH Panel BedCONSISTS OF:B560-96Queen Panel RailsB560-81Queen UPH Panel HDBD/FTBDI..
B560 Olivet California King UPH Panel BedCONSISTS OF:B560-94California King Panel RailsB56..
B560 Olivet King UPH Panel BedCONSISTS OF:B560-97King Panel RailsB560-82K/CK UPH Panel HDB..
CONSITS OF:B560-83Twin Panel RailsB560-53Twin UPH Panel HDBD/FTBDInches: 41” W x 1” D x 50” HColors:..
CONSITS OF:B560-86Full Panel RailsB560-55Full UPH Panel HDBD/FTBDInches: 58” W x 1” D x 50” HColors:..